Ordinary Portland Cement (OPC) is the most common cement used in general concrete construction when there is no exposure to sulphates in the soil or groundwater. 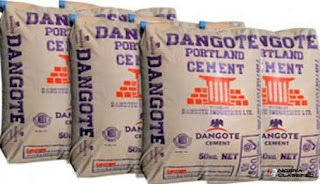 Portland cement is the most common type of cement in general use around the world, used as a basic ingredient of concrete, mortar, stucco, and most non-speciality grout. It was developed from other types of hydraulic lime in England in the mid 19th century and usually originates from limestone. To retard the faster setting time of cement resulted from (C3A) compound a percentage of raw gypsum(selenite) is added during the grinding of the clinker. OPC is environment friendly as well as economical. Ordinary Portland Cement (OPC-53, OPC-43, OPC-33). Non-structural works such as plastering, flooring etc. Portland Pozzolana Cement also commonly known as PPC cement. These types of cement are manufactured by using pozzolanic materials as one of the main ingredient. The percentage of pozzolanic material used in the preparation should be between 10 to 30. If the percentage is exceeded, the strength of cement is reduced. Pozzolana is a natural or artificial material containing silica in a reactive form. It may be further discussed as siliceous or siliceous and aluminous material which in itself possesses little, or no cementitious properties but will in finely divided form and in the presence of moisture, chemically react with calcium hydroxide at ordinary temperature to form compounds possessing cementitious properties. It is essential that pozzolana be in a finely divided state as it is only then that silica can combine with calcium hydroxide (liberated by the hydrating Portland Cement) in the presence of water to form stable calcium silicates which have cementitious properties. What Is The Difference Between RC Slab And RB Slab?